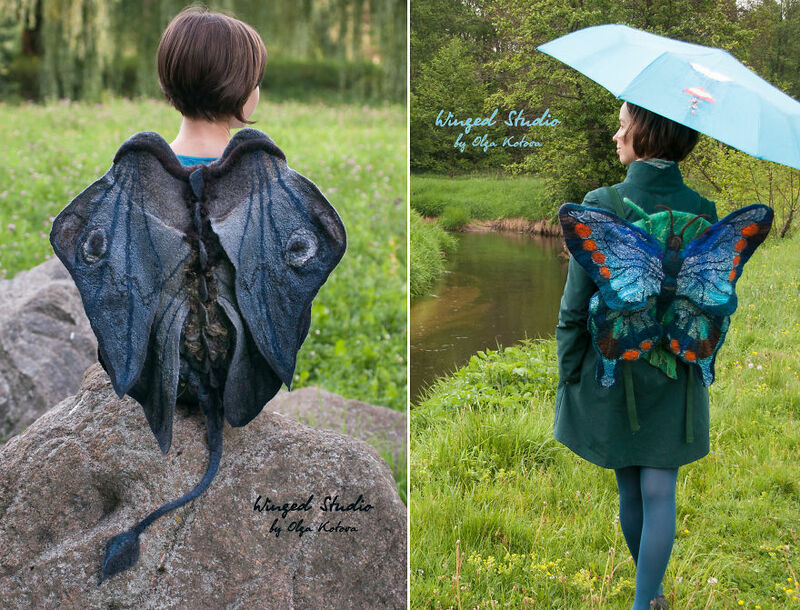 Now the butterfly wings can appear on your back – almost like real ones! 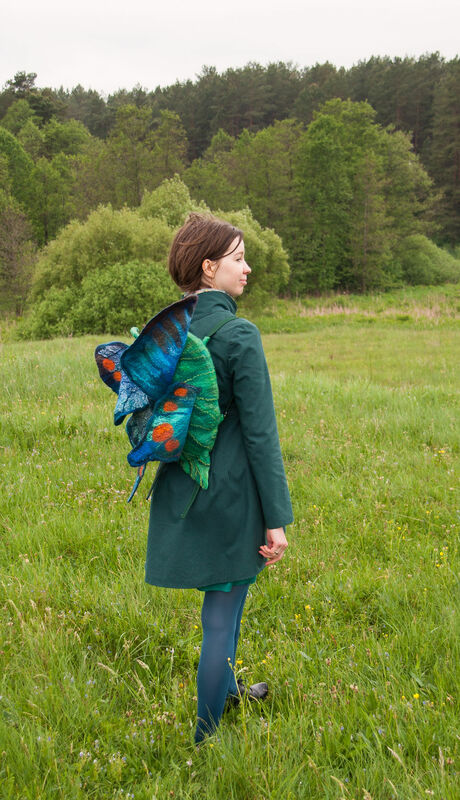 Imagine, when you put on a backpack with sky-blue wings, you can feel like a fairy. Or you can try a more fierce image – a combination of butterfly and dragon, with a sharp tail and a crest. 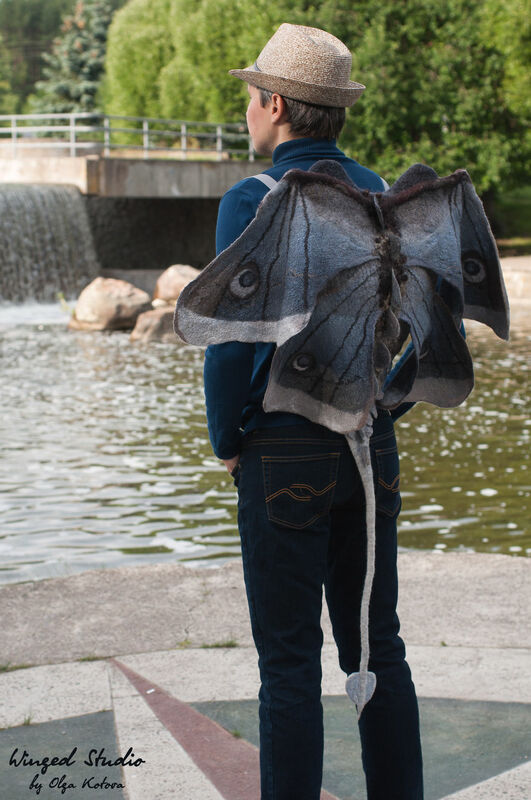 While you’re walking, the wings and tail will move in the air. You will leave an indelible impression. 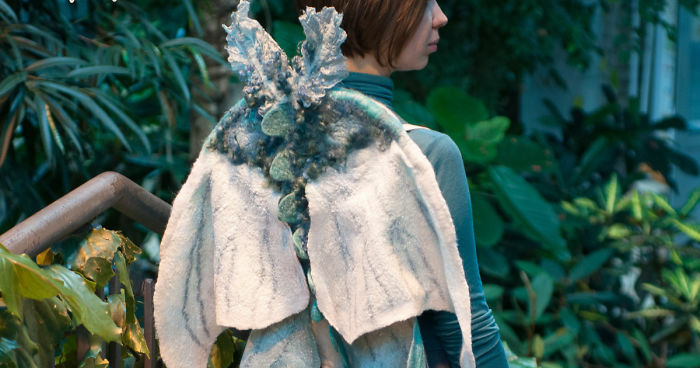 We made these backpacks from felted wool and silk. They are not only beautiful but also very practical. There is a zipper on the back of the backpack. Inside the backpack, there is a lining with three pockets. The straps of the backpack are adjustable. 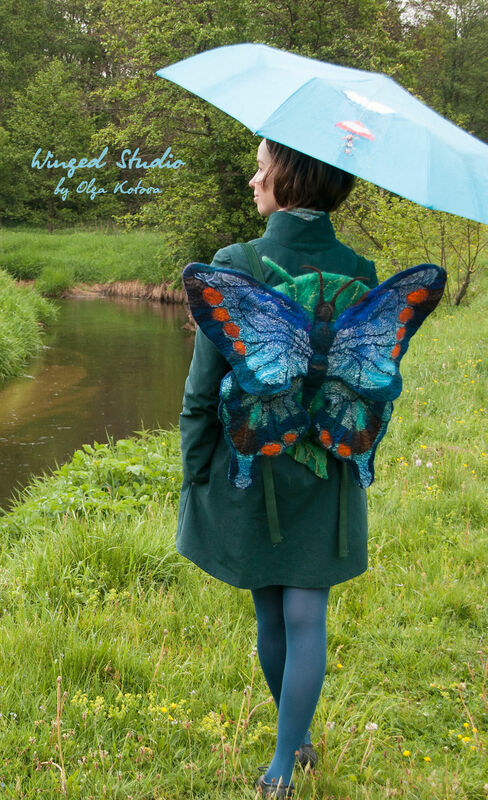 We have been creating unusual backpacks for four years now. 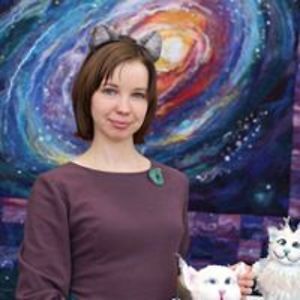 We are always ready to fulfill your wildest imagination with the help of wool!